With as many PowerPoint questions that I get, it’s a good thing that over the past year or so the elearning community has created about 300 PowerPoint tutorials. For this post, I decided to pull a bunch of them together so that you have them in one easy list. 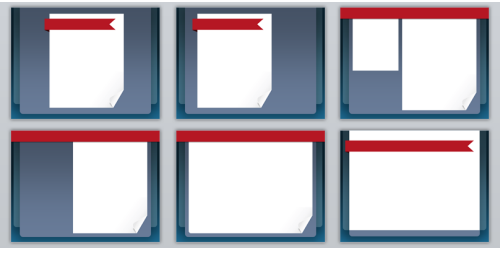 I also included a free PowerPoint elearning template to celebrate the holidays and a great 2010! 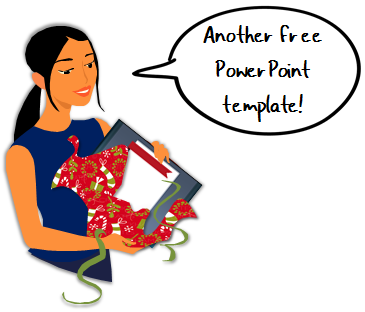 Click to download the free PowerPoint template. If you want to learn more about using PowerPoint or building rapid elearning courses, this list is a good place to start. Even if you can’t use a tutorial right now, going through one is still a good way to learn about PowerPoint. The key is to do more than watch the tutorials. Instead, practice what you learned and then try to apply it to a real project. I loosely organized the tutorials by topic so they’re a little easier to scan. owerPoint and how to use it. As you can see, there are lots of free tutorials and resources to help you learn more about PowerPoint. All it takes is a little bit practice and you’ll be a PowerPoint pro in no time. Thanks Santa Tom! This is just what our team asked for Christmas. It is great to have a one stop resource to a plethora of timely topics. You always seem to know just what we are looking for. Keep up the great work! Happy New Year. Thanks Tom, and Happy Holidays! Your title says 100+ templates, I see one…. Awesome! These are so helpful and gave me some great ideas. Needed a boost to start the new year. thanks again! Imagine a Saturday drop in class to e-learn e-learning. That’s what you have here! Thanks to your willingness to share content more of us can aspire to contribute at this level. Brilliant. Thanks. About “Use hidden slides as a working canvas”, this can play havoc with some LMSs. We had a situation where our LMS could not record a completion for the learner. After much hair pulling, we found the cause to be a hidden slide. Not a slide hidden from Articulate’s navigation, but hidden in Powerpoint as explained in the Screenr. So if you use this in development – and it is a very helpful practice to have a blank slide free of slide master elements – be sure to delete it prior to your final pubishing in Articulate. Great summary, Tom – really useful tutorials! Wow, what a great posting to find when I came back to work after the holidays! Thanks for continuing to share these great ideas with the community. This is a good site, because as an educator I am always looking for new ways to invigorate my students. I commend you for the tools and ideas that you have posted. It is not easy trying to keep a student’s attention with just lectures, PPTs and classroom conversations. We have to find new ways to keep them engaged, especially when we do not have enough technological equipment for each student at the same time. Thanks Tom for the list of tutorials. I am not really that knowledgeable in Powerpoint because my previous work did not require making presentations. But now that I am trying to produce tutorial videos using bulletpoints, it is a must to learn these techniques to upgrade the quality of my future presentations on screen. Thank you very much Tom for this gift. I take the opportunity to wish you a wonderful 2011. What a resource! I am a teacher who likes to use IT but have not had the training to learn about all the truly useful ways to utilise powerpoint presentatons. At rapid elearing I can find high class resoures which enable me to transform my rudimentary visuals into a memorable learning experience. Thank you,Thank you,Thank you, Thank you. Please send me tutorial powerpoint to learn.